Bam! There it is. Cover revealed. Here are some questions you might have for me. Let’s imagine they’re asked by a hypothetical, slightly jerky, person. HP: Wow! Who made that cover? Ari: Beth Clark. The art director at MacMillan’s Children Publishing Group. Awesome right? HP: Totally. Hey, what’s with all the lines of typing in the background? Who did those? Ari: Me! I wrote them, I mean. But Beth put them into the picture. HP: So she actually made it look cool? Ari: Well, yeah, but I’m the one who wrote them. Also, I got to choose which quotes she would actually use, which was fun, too. HP: Whatever. The words hardly matter. They just make the picture look cool. Ari: Sure they matter. They intrigue you, and they make you want to read the book, which is the purpose of the cover, right? HP: Maybe. Maybe it’s not all about you and your book. Ari: Sure it is. I mean that’s what a cover is all about! HP: So… you what are you working on these days? Ari: Well, this book, The Innocence Treatment, is almost done the editing process. My editor (the amazing Kate Jacobs at Roaring Brook) and I got through line edits in September / October, and copy edits in November. Now I think the publishing process is just kind of rolling forward towards the eventual release date which according to the MacMillan webpage (check it out here — you can already preorder!) is October, 2017. In the meantime, I’m working on editing my latest manuscript. I have a new agent (the wonderful Molly Ker Hawn at the Bent Agency), and she had a bunch of really thoughtful comments on my latest draft, so I’m currently hard at work on revising that in order to get it ready for Molly to send out to publishers. Also, last week I kind of accidentally wrote a short story — the first one I’ve written in ages, so that was fun. I’ll blog about that later (next week, even?) and post a snippet or two so you can see what it’s like. I’d like to say ‘I don’t remember the last time I wrote a blog post.’ Unfortunately the website reminds me — over two years. (Thanks for nothing website!) There have been good reasons for this ( I’ve been spending my writing time writing fiction – yay!) And bad reasons for this (I had nothing much to announce. Boo!) Until now. 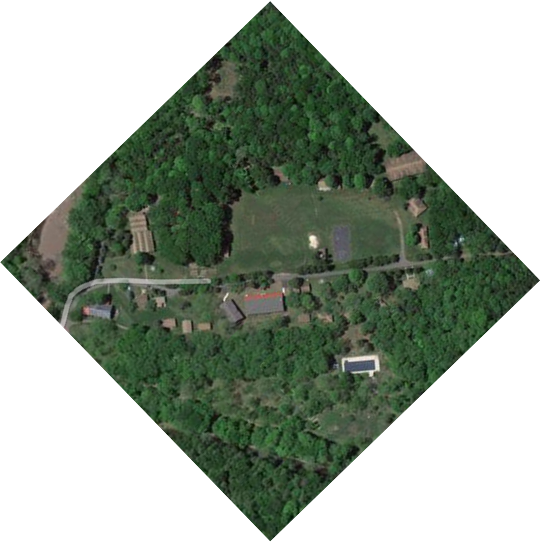 I’m thrilled to announce that Roaring Brook Press will be publishing my latest novel, The Innocence Treatment. The Innocence Treatment is a YA suspense novel centered around Lauren Fielding. At the start of the novel Lauren is a sixteen-year-old high school student with a cognitive disability – the inability to discriminate truth from lies. She believes anything her friends tell her, and she believes that everyone is her friend. This leaves her happy, but at constant risk of victimization. A cutting edge medical treatment helps Lauren, but after the treatment her mental condition soon veers into paranoia. Or does it? I can say no more. Except this: The Innocent Treatment is a thriller set in a near future United States, where climate change and economic unrest have led to a new political reality of surveillance and corporate control. Or have they? I can say no more. I’m super thrilled to be working with Kate Jacobs (senior editor at Roaring Brook (MacMillan)) on this project. Thanks Kate! I’m super grateful to my agent, Lindsay Ribar, for all the work she put into finding The Innocence Treatment a good home. Thanks Lindsay! I’m also super grateful to the Canada Council for the Arts for supporting my work on The Innocence Treatment with an emerging writers grant. Thanks Government of Canada! (It’s not strictly relevant to this post, but I believe it’s wrong not to include an image Canadian Prime Minister, Justin Trudeau, given even the most flimsy of excuses.) Yay Canada! Anyway, I promise to blog more often. For a while anyway. Let’s be realistic. 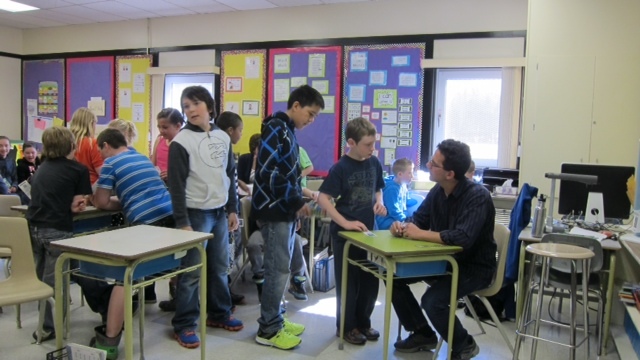 Signing books at Frank J. Mitchell Elementary School (in Sparwood, BC). We woke up yesterday in Nelson, having stayed at the lovely lakeside Prestige Hotel. Sadly we got in late and left early, so we didn’t have much time to appreciate the (beautiful) views. Yesterday morning I presented at Hume Elementary in Nelson, then in the afternoon, presented at Eriksson Elementary in Creston. There were around fifty students at each, which meant we didn’t have to do the visits in the gym, which was nice, acoustically speaking. Again the students were great, with quite a few burgeoning writers, especially in Creston. We got to Creston a bit early and had time to have lunch and wander the downtown a bit, a wander which led me to Kingfisher Books, a great used bookstore in Creston’s (very small) downtown. I don’t know if it’s just that I haven’t had time to explore bookstores the way I once did, or if really aren’t as many big used bookstores around as there used to be, but it felt like I hadn’t been in a good used bookstore in ages. They had all the old paperback imprints I remember from the 1970s and 1980s. And lots of books. I could have spent hours there, rather than the twenty minutes we had. Still, I found a vintage copy of Susan Cooper’s The Dark is Rising with the creepy old cover from the 1970s (for five dollars!) , as well as an old Arthurian fantasy I’d never heard of (for two dollars!). Today only had one school visit for each of us (an early one in Sparwood, BC) but we compensated by driving an additional hour to take a look at the big coal mine in Elkford. The country up here is beautiful, all snow covered mountains, forests and ranches. Oh, and scattered clear cuts and mines. (The name ‘Sparwood’ comes from the tall trees that used to grow in the area long since logged to be masts for the tall ships of the day. ) 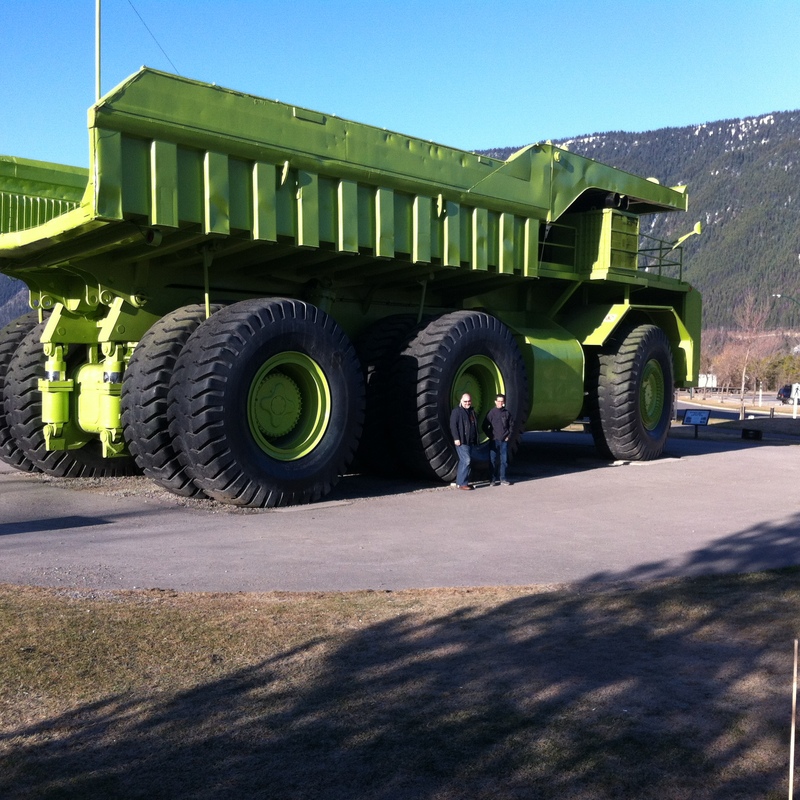 These days Sparwood still has a bunch of mining, and what has to be the world’s biggest truck. Here’s a picture of Bryan and me standing next to it. Please note — neither Bryan nor I have not shrunk to the size of a mouse — the tires are just that big. Tonight we’re staying in Fernie. I have no events until tomorrow evening when we have our public event at the Fernie library. Hence, I have time for this blog post. After I post it, I intend to take my first real walk in three days, assuming my legs still are operational. Where exactly is Nelson? Turns out it’s in the Western Kootenays, or (in terms that our friends to the south would understand) — just north of where Washington State meets Montana. If we had driven straight it would have been about a nine hour drive. With stops it took us about fourteen hours. What’s that big smokestack surrounded by huge mounds of gravel? It looked like a cross between a power plant and a cement factory. 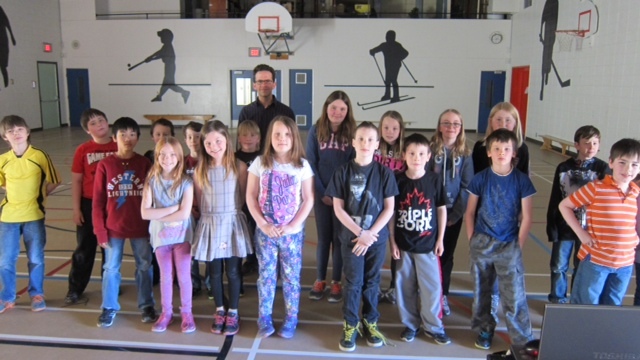 Yesterday I presented at the Vermilion Forks Elementary School in Princeton, and the Bernard Elementary School in Chilliwack. Here’s a photo Brian took of me with some of the students. I had about a hundred students at each school events. Both events were lively and enthusiastic and the students asked a ton of great questions. Both were pretty big assemblies held in schools’ gyms, but somehow the acoustics worked – maybe because the students were good at listening to each other’s questions (and my answers) quietly. I went to sleep last night still pondering some of their questions, in particular ‘what inspired me to be a writer?’ I get that question at every reading I do, and each time my answer changes. Not because I’m a liar, but because there’s a lot of different true answers to the question. Today, we will only do about 4 hours of driving, visiting schools in Nelson and Creston, before arriving in today’s destination of Fernie. I’m going to try to post again tomorrow. Okay, the title may be somewhat misleading. What I mean is I want to celebrate The Path of Names‘ recent nomination for two awards, and the way I want to celebrate it is by giving away a silly retelling of Snow White I did a few years ago, back when I thought it was in my power to keep my eldest daughter from hearing the traditional version of princess stories. Now for the princess story giveaway. When my eldest daughter was younger and at the height of her princess preoccupation, I used to deal with this by simply changing the words of the stories. Then, one day, a few hours before my mother was scheduled to babysit her, I realized my mother would read her the words to the Snow White story. The real words. Where Snow White is appreciated only for her beauty (rather than her juggling skill, as in my version.) Where trees are frightening apparitions (rather than sad creatures who wish Snow White would teach them how to juggle.) Where Snow White cooks and cleans for the dwarves (rather than juggling their cooking implements). In that spirit, I thought other harried parents may find the attached file useful. Feel free to modify it as you wish. I finished up my November events today with a morning reading / interactive event with the fourth graders at Vancouver Talmud Torah (part of Vancouver’s Jewish Book Festival). The students were everything you want in your audience: smart, engaged, interested, and filled with good ideas. So engaged, in fact, that I forgot to give out bookmarks at the end, as I was too busy trying to answer any remaining questions. Doh! If any VTT people read this, let me know and I will drop off a thwack of bookmarks with you. 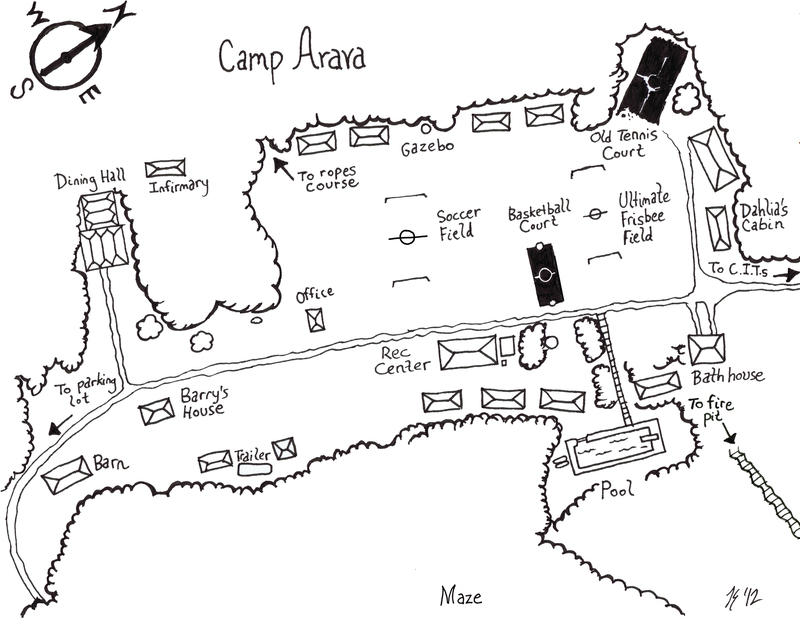 Other pictures I post are very slightly different versions of the book’s cover, and some pictures of me as a kid at camp. 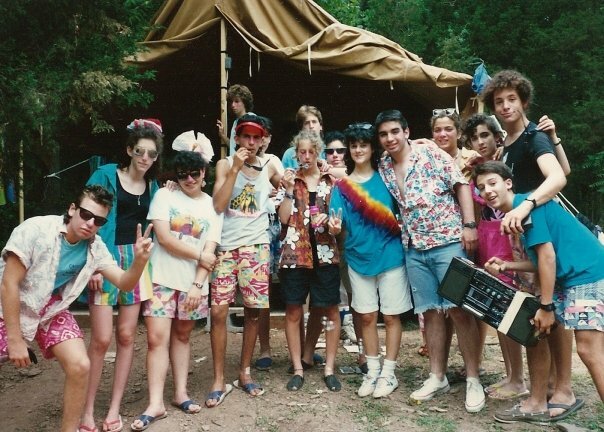 When I show students the picture below, I ask them to try guessing which camper is me. I don’t think I look that different, but apparently I’m wrong. What do you think? It seems to me that you start getting a particular line of advice from a very early age. Not just about writing, about everything: focus on the process, not the outcome. I remember a grade school teacher very early on instructing us, “Don’t ask each other what grade you got on the test, ask ‘what are you learning? '” The idea being, she wanted us more concerned with the learning process, and less concerned with the outcome. Naturally, we ignored her, though maybe we kept our voices a little lower when we turned to each other after each test. Similarly, when I was a kid playing soccer, my coach (like every kids’ soccer coach ever) told us something like: ‘it’s not whether you win or lose, it’s how you play the game.’ Naturally, we ignored him, too. a) They obviously don’t really mean it. If our math teacher didn’t want us to care about the grade we got on a test, why bother grading them? (Instead of just, say, telling us what we did right and what we did wrong on each question). As far as playing soccer, honestly, if it’s just about how you play the game, why do people keep score? b) Even more importantly (as a reason to ignore this advice) is it’s so darn hard. It’s so much easier to care about the outcome than to focus on the messy, painful, process. The thing is, as a writer I’ve found that I have to dig up that stupid advice and listen to it. It didn’t come up much before I published THE PATH OF NAMES. I liked writing, so I wrote. The outcome… Well, there wasn’t any outcome aside from the writing itself. Sure, I occasionally published a short story, but the money and attention I got for that were so miniscule that they didn’t ripple my writing stride. After publishing a novel, though, suddenly there were all these outcomes out there. People were buying and reviewing my book. THE PATH OF NAMES has received generally good reviews, but not quite good enough for me (e.g. I haven’t been acclaimed the new genius of middle grade literature). I got some attention for it, but not quite enough (e.g. I wasn’t immediately offered a three movie deal). Worse, when I sat down to write my next book, I had a lingering concern about how people would receive my new work. It didn’t exactly get in the way of writing. More precisely, it got in the way of enjoying writing. So I have had to gently nudge myself back into focusing on the process, and not worrying about the outcome too much. See, what I mean? It’s hard to stay focused on the process. But you pretty much have to try. 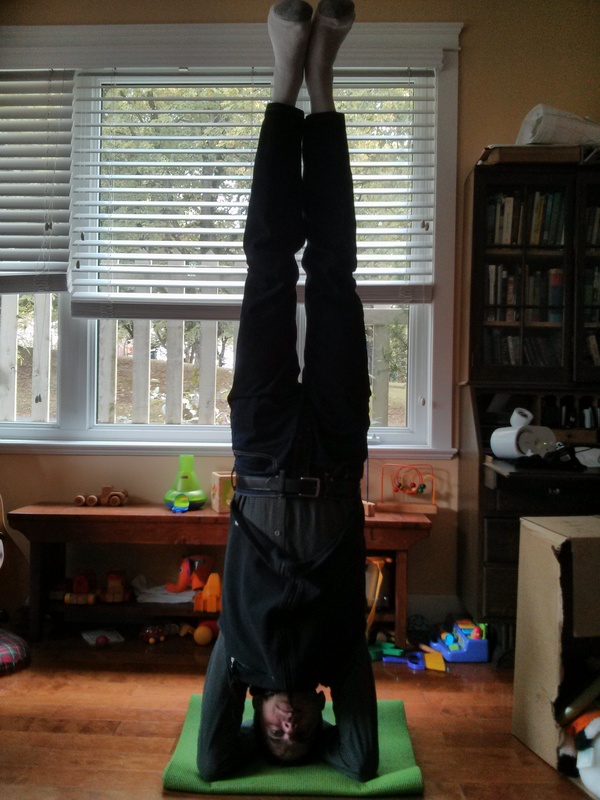 And you don’t necessarily have to stand on your head. Though, I don’t know, it probably doesn’t hurt. p.s. Oprah fans — please understand I was just joking when I wrote ‘Forget Oprah.’ Never forget Oprah.